They say the best plans are those, well, that are not planned. How I ended up in Sydney is one of those unexpected stories that just happen to you and make it hard to believe they were not meant to be. 1- Sydney’s beauty is like nothing else. Sydney’s charm is striking everywhere you lay your eyes. The city has something unique to it that’s hard to find anywhere else. It’s a little bit of luxurious mixed with the right amount of city and the healthy touch of green for you to find it the most perfect place on earth. 2- It has the largest natural harbour in the world. 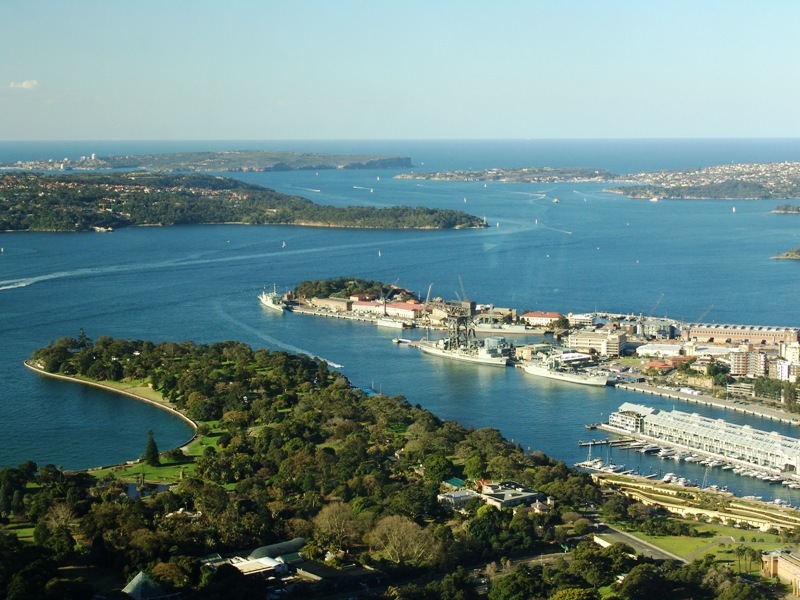 Sydney harbour is the natural harbour of Sydney, New South Wales, and the largest natural harbour in the world. In addition to being the location of Sydney Opera House and Sydney Harbour Bridge, it’s enjoyable any time of the day with the many restaurants and cafes you can find. 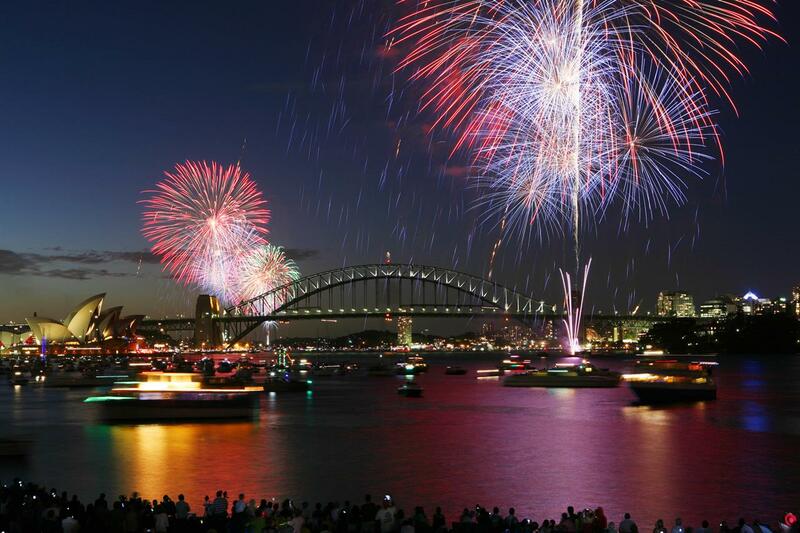 The Harbour hosts as well many recreational events that happen throughout the year, the most famous and impressive one being the New Year’s Eve celebrations. 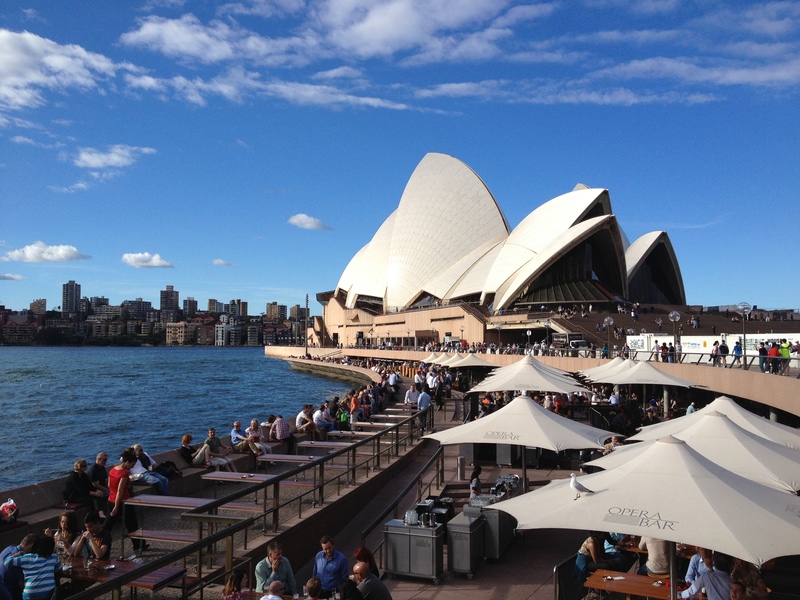 3- It’s home to Sydney Opera House. A world-famous architectural masterpiece and Australia’s most important icon, the Opera House is an innovative shell-shaped sculpture by Danish architect Jorn Utzon overlooking Sydney Harbour. The landmark is exceptional inside out and the organized tours are a must to understand better its history and have a close look at the architectural details. Simply breathtaking! More details about the Opera here. The stunning opera house of Sydney! 4- It has the most beautiful zoo in the world where you can actually play with Kangaroos and Koalas. Taronga Zoo is the biggest and most impressive zoo I’ve ever seen. 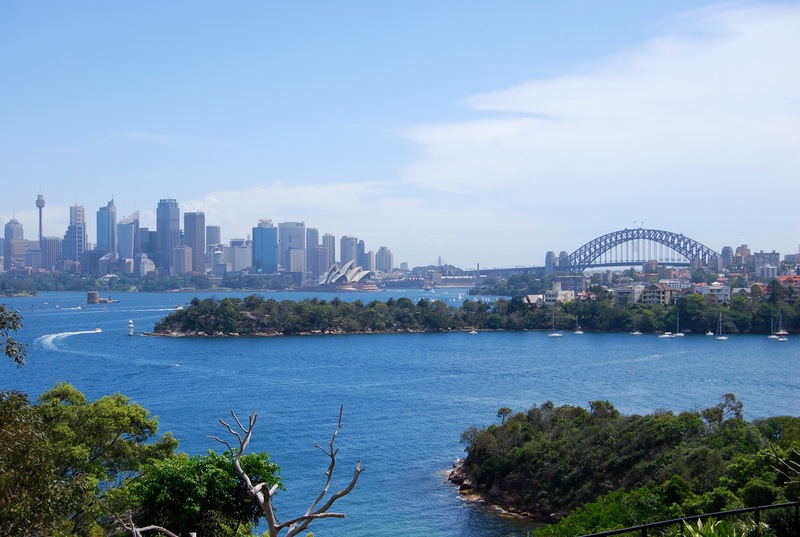 Home to over 4,000 animals including rare endangered species and Australian native wildlife, the award-winning zoo is a magical escape into the beauty of the wild with a breathtaking view over Sydney Harbour. How to get there: Take a ferry from the city, it’s a beautiful ride and only 12 minutes away. Tips: Make sure not to miss the free-flight Bird Show, known to be the world’s most spectacular bird show (I’ve seen it, yey!). Check the zoo’s brochure upon arrival to know the timings. 5- With the nicest stretches of beaches, it’s your summer dream destination. With long white sand beaches kissed by turquoise water and buzzing with beach life day and night, Sydney is definitely the place for summer lovers. Besides being a haven for surfers, its beaches offers superb costal walks and excellent cafes and restaurants to enjoy any time of the day. 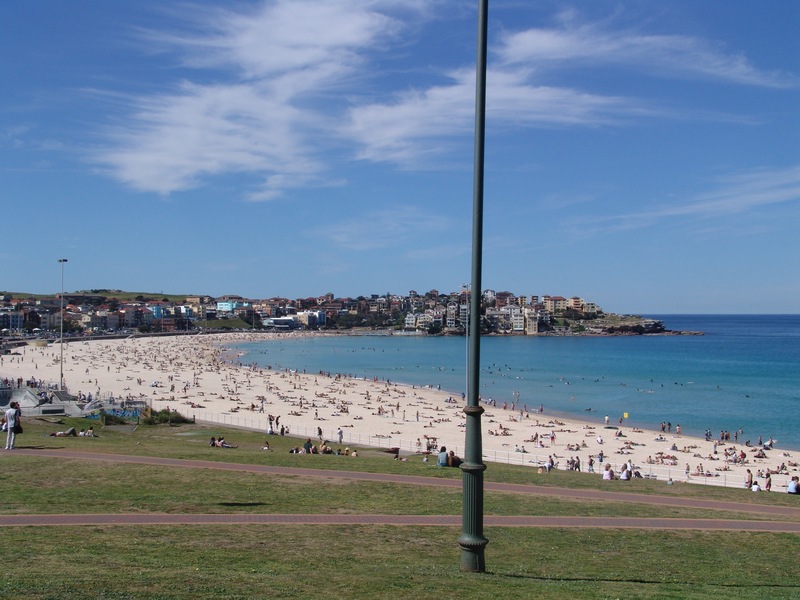 Most popular beaches: Bondi and Manly. 6- It offers amazing little corners of paradise where you want to get lost forever. With amazing natural reserves, protected areas, national parks, and endless green spaces, Australia’s nature is known to be beyond compare. Having a picnic in the nearby park, going out fishing, canoeing or paddling in a stunning marina, enjoying a bike trip in the botanical gardens, or taking a safari tour to view the unique wildlife of Australia are easily accessible activities that’ll remind you of the real pleasures of life! A roadtrip to Hunter Valley, north of Sydney, home of the finest wines and gourmet food. 7- Sydney has the Blue Mountains. A superb mountainous area, part of the Greater Blue Mountains Area World Heritage Site, the Blue Mountains is one of the most spectacular landmarks visited by millions of tourists each year, mainly “The Three Sisters and Jamison Valley” part. Spending a weekend there is the perfect plan for a revitalizing or a romantic nature retreat, where many recreational activities such a climbing, canyoning, biking, and other adventure sports are available. 8- You eat like a king. Australian meat is not the only mouthwatering indulgence the country is famed for. When ingredients are as fresh and natural as the native Australian produce, it is understandable why nothing can beat Sydney’s varied cuisine and world-class restaurants. The choices are endless, but allow me to make one special recommendation for a unique Japanese cuisine experience: the Sake restaurant. You’ll thank me for it one day. 9- You party like an animal. Nothing I’ve seen compares with the wild nightlife of Sydney. These people definitely know how to party, every day, everywhere. From dance clubs, to bars, and live music venues, Sydney’s got all the fun you’re looking for. Click here for a guide on Sydney’s nightlife. 10- You meet the coolest people from the four corners of the world. Sydney’s unique mix of cultures makes it a melting pot by excellence. Wherever you go, you are sure to meet a friendly and interesting someone that will add to your stay an exciting flavor.